I can’t name my blog after luggage without a proper packing post! So here we are. Two sleeps til Spain! I normally wear a lot of colors – think neon green pencil skirts – and do not shy away from patterns. So staying neutral with the ability to mix and match was a challenge! But I think I threw in enough color to last until I inevitably pick up a few fun pieces abroad. I’ve tried to research packing tips and ‘clothing capsules’ and trends like that, but found the easiest thing to do was pull out what I wanted, lay it out on a bed or table, and see how everything works together. Very visual and hands-on. 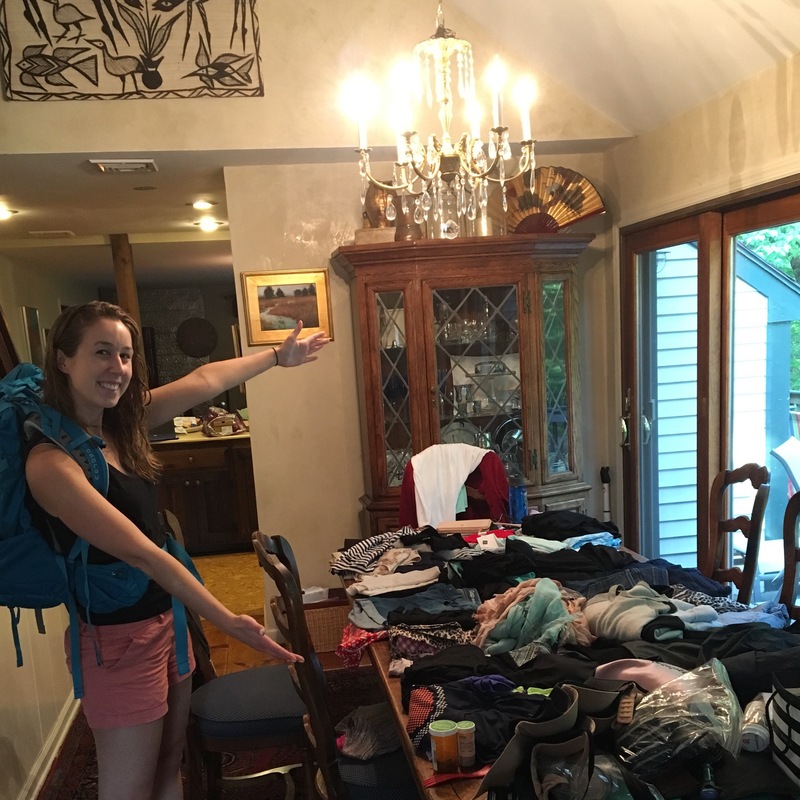 All this – under 50 pounds in the checked bag! Feeling a whole lot more relieved now that this is completed and can focus on being excited for the trip! I have 2 roomies to befriend and 74 other Remotes to meet. I’ll check back once I’ve touched down in Valencia! Safe flight – thinking of you even when your in airplane mode!